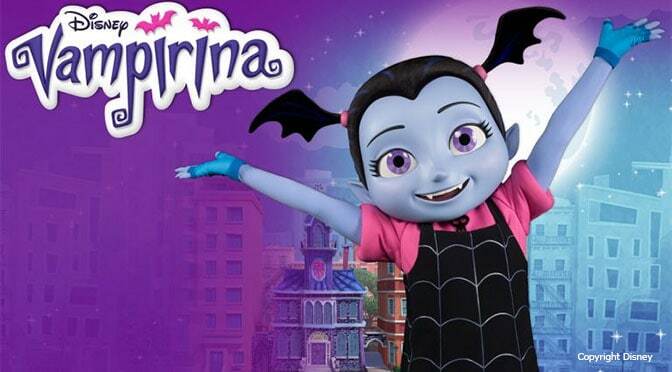 Vampirina has been slowly phased into Walt Disney World. First, she was added to the Disney Junior Dance Jam for Mickey’s Not So Scary Halloween Party, then she began meeting guests at Hollywood and Vine. Soon, she will begin offering a regular meet and greet at Hollywood Studios. Here’s the details. I’ve added her listing to Character Locator and updated my custom Hollywood Studios map. So is this a group meet and greet? Like Joy/Sadness or Rapunzel/Tiana? Or one separate line for each character in this area? My 2 yr old daughter is going to be so excited, we will be there in 28 days!